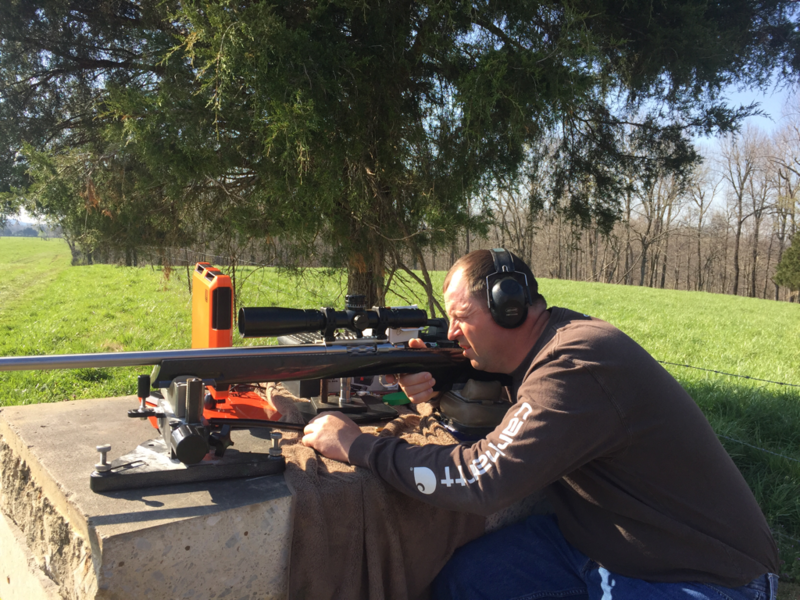 Thanks to Jim Chaney and Chad Haycraft, Bart's Custom Bullets now has a place to stretch practice and testing out to 600 yards. 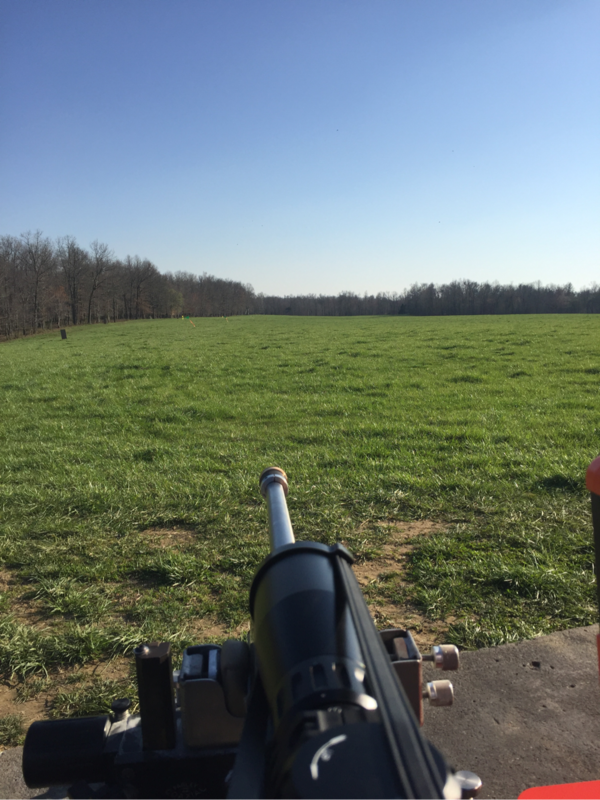 Today I got my first opportunity to tune at 600 yards with my dasher at Chad's beautiful farm. Chad's back section of pasture/hayfield provides a nice wide open range out to 700 yards. Before going I had tuned my dasher as best as I could at 100 yards. Upon arrival the gun was shooting 2 1/2 to 3 inch groups at 600 for three shoots. With a little tweaking the three shot groups were quickly brought into the 1 inch range and below. Chad and a couple of his nephews Luke and Brent came out to help, as well as, Brent's girlfriend Brianna! For the record Chad out shot both of his nephews! Brianna abstained from the competition! I think she felt it would be unladylike to outshoot all the men! A Busy bench is a happy bench! 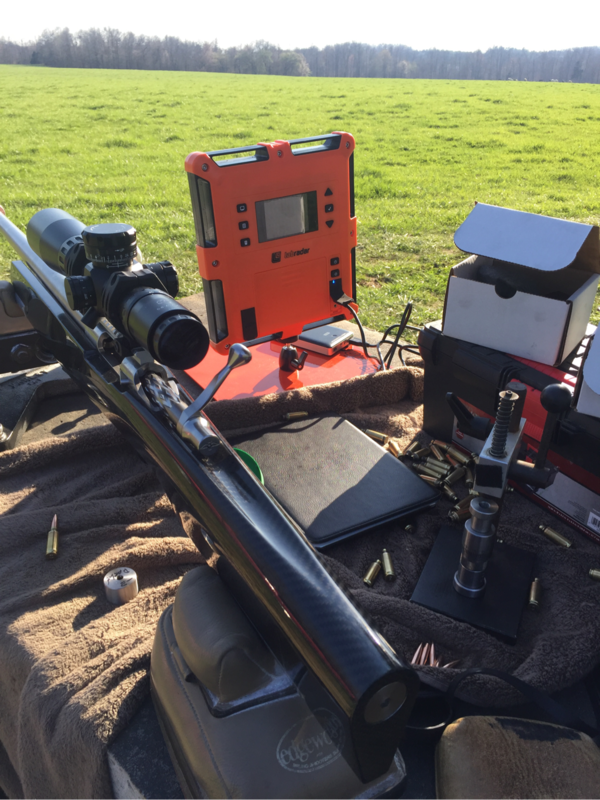 Shooting, Cleaning, Chronographing and Reloading all in one spot! Chad testing out the dasher! 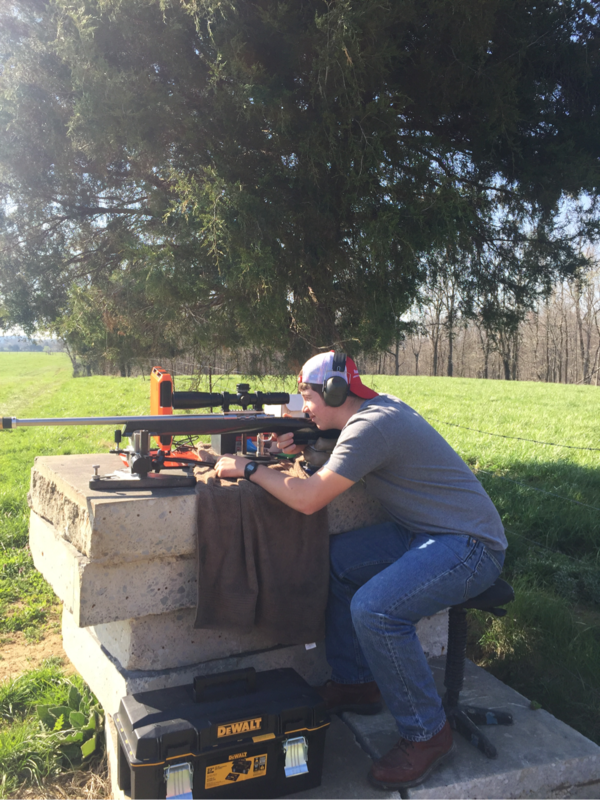 Luke's first time shooting a bench gun at 600 yards!